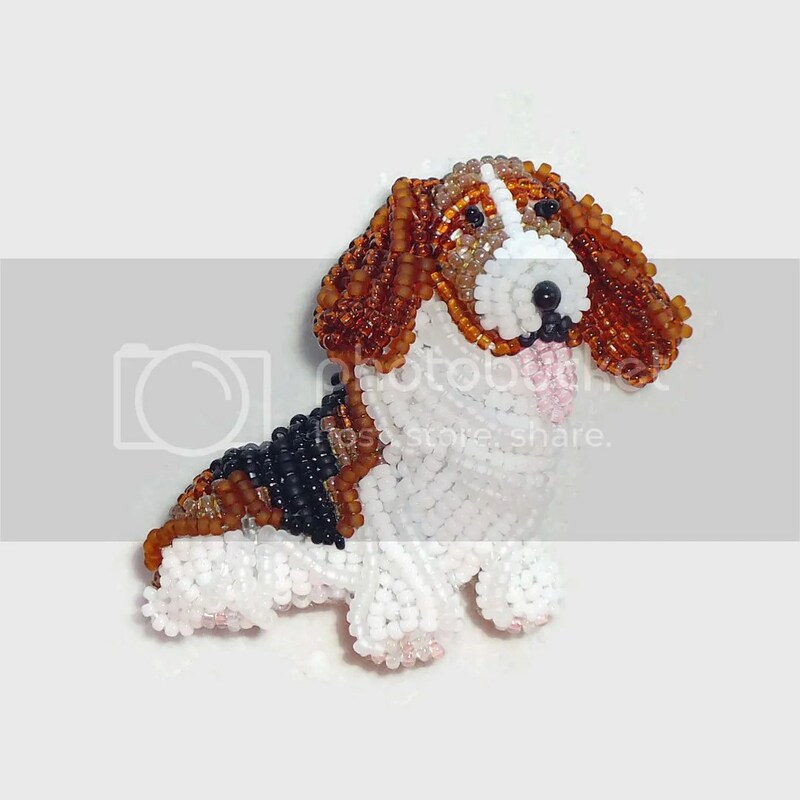 Dear friends, a new beaded Basset Hound pin pendant is now available for sale in my Amazon Handmade store. 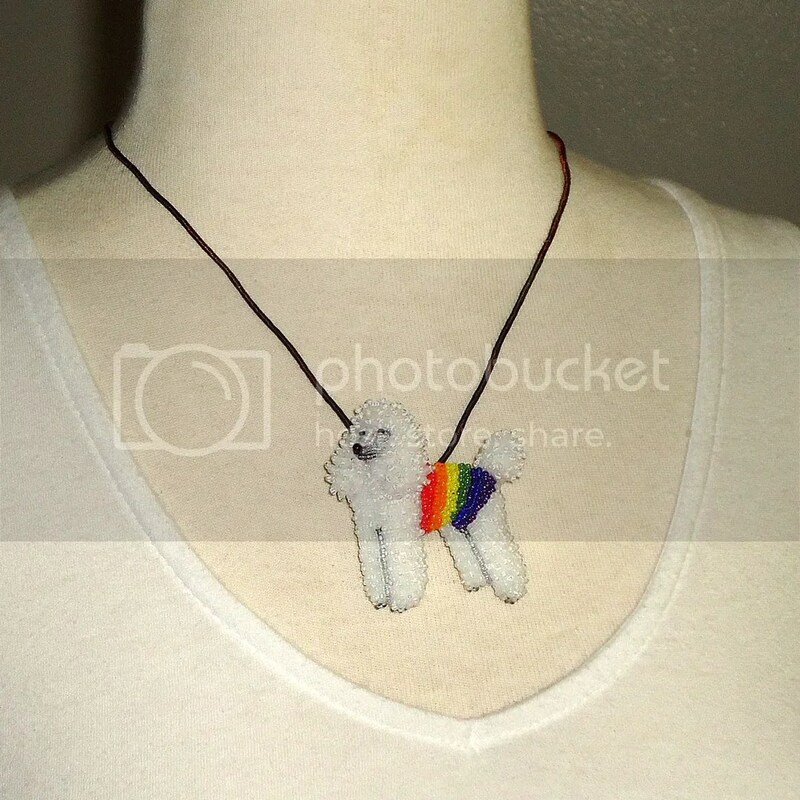 This pin was created by stitching tiny glass seed beads to felt 2-3 at a time. 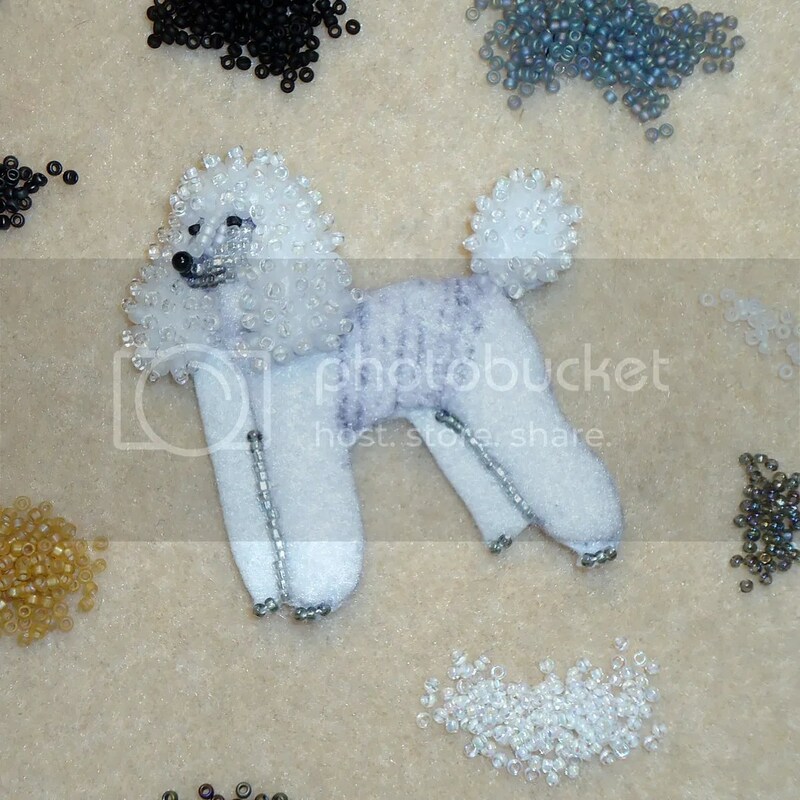 The dog’s floppy ears were beaded in a peyote stitch to add movement and realism. Ears measure approx. 2cm long – they actually move when you touch them! 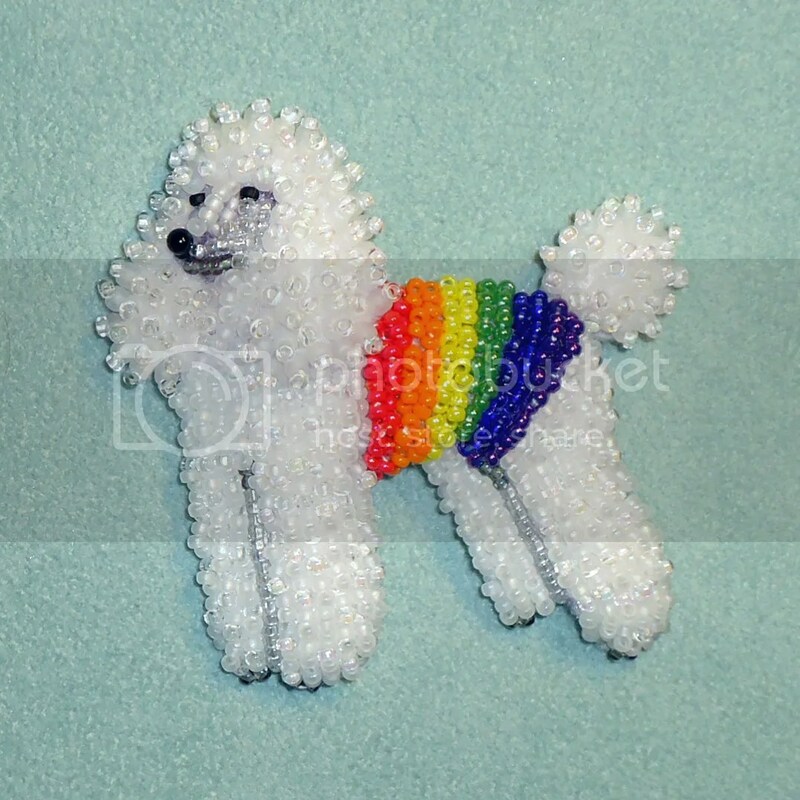 Seed beads were also layered over the dog’s body to accentuate his wrinkles:) A 1″ pin is sewn to the back, as well as a custom made bail. Pins are backed with Ultrasuede & signed by The Lone Beader. This item is ready-to-ship.